Lexington city officials are trying to increase government transparency by providing residents with a web-based option that allows them to see where their tax dollars are going. Gary Swink, the finance director, said he wants residents to become more involved in the spring’s budget season by using the new online tool. “It is our hope that by having a tool that presents the budget in a more user-friendly format that citizens will become better informed and more engaged,” he said. 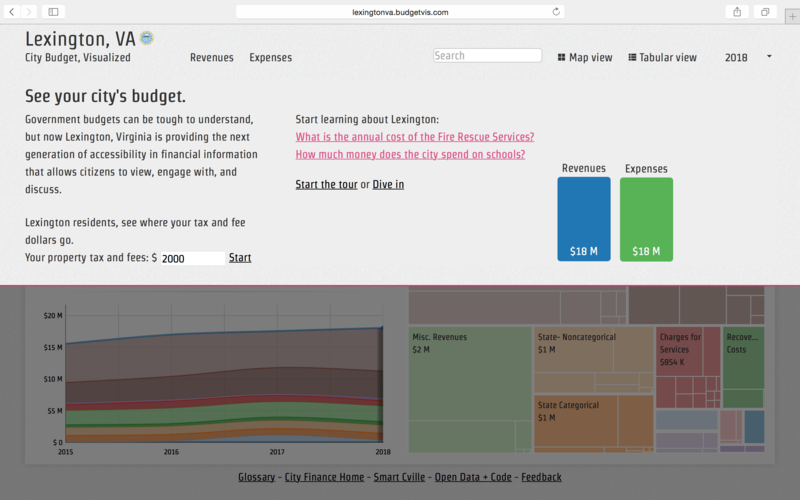 The local government launched the interactive budget visualization tool in early January. Residents can use the tool to see the total revenue and expenditures of the government, as well as their personal contributions to various city departments. The city also added a “transparency” page to its website last week that lists key resources, such as public meeting agendas, the city manager’s weekly report and links to social media. Meredith Warfield, a support specialist for Lexington. Photo Credit: Meredith Warfield. 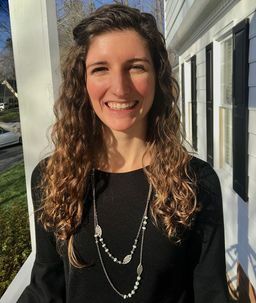 Meredith Warfield, a support specialist for Lexington, said city officials are promoting transparency so that citizens can better understand what the government does on a daily basis and how that relates to them. The city hopes people will become more active in the process. She also said the tool’s most useful feature allows property owners and citizens to enter the exact amount of property taxes and fees they pay per year, and then see how the money is distributed throughout city departments. “If they see the fire department putting out a fire, they can think, ‘Oh, I pay $324.99 to that department per year,’” Warfield said. The cost of the tool also impacted city officials’ decision. Warfield said the technology behind it has been around for a while, but only recently has the price dropped for it to be affordable for municipal governments. Smart Cville, a nonprofit organization based in Charlottesville, created and installed the tool for Lexington. It charged $1,000 for the setup with a $1,800 annual fee to maintain it and provide data usage statistics, Warfield said. About 40 people used the tool on its opening day last month, according to Smart Cville’s data. But city officials expect to see more users in the spring when they introduce the next fiscal year’s budget. Lauren Haskell, a Lexington resident and manager of the retail store Gladiola Girls, was unaware of the tool but likes the concept. “I think if there’s an accuracy to [the tool], then it is a great idea because people do want to know, ‘I’m putting this money forward. What is it going to?’ ” Haskel said. Another resident, Kathy Kaiser, who works at Pumpkinseeds, was also unaware of the tool. Kaiser said she would like to see the city spend more money on infrastructure, especially roads and the water main system. The tool can show Kaiser exactly how much she contributes to the city’s infrastructure. For example, if she pays $1,000 in taxes per year, she can click on the “public works” block in the breakdown of her contributions. She can then see she pays about $40 toward street maintenance and nearly $140 to other public works services, such as water mains. She can also see how much she contributes to the police force, education and even the municipal swimming pool. David Sigler, another council member, warned that the full budget reports on the government website shouldn’t be ignored now that the new tool exists. “[The tool] does assist in the realm of transparency, but it certainly is no substitute to actually reviewing the published budget to see how the various pieces of the puzzle fit together and then asking questions,” he said. Lexington residents can use the new budget tool to see what the city does with their tax dollars. Smart Cville’s Founder Lucas Ames agreed. The city also plans to add a budget timeline to the tool that can track public hearings and updates during the spring’s budget season. The first public hearing about the budget will be held in early April.